We are only a few days away from the 25th anniversary of Disney’s Hollywood Studios. The Disney Parks Blog in continuing with their series of past attractions of the Studio’s, Nate Rasmussen, Archivist, Marketing Resource Center put out a blog today remembering Residential Street. This was part of the Backlot Tour attraction. Do you remember Residential Street? 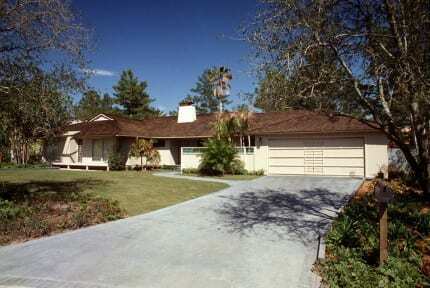 The nice, quaint neighborhood in the heart of Disney’s Hollywood Studios? Of course, this neighborhood was actually a line of facades. Used in various TV shows and commercials as well as movies, some of the homes on Residential Street looked familiar to guests when they drove by on the Studio Backlot Tour. Below is an aerial view of Residential Street in October 1988 prior to the opening of the park.